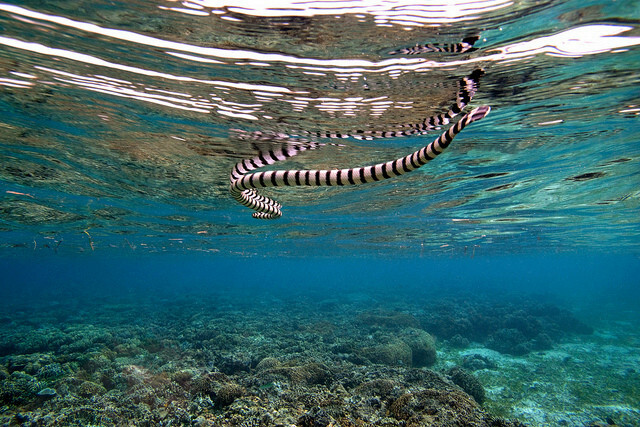 The most dangerous sea snakes, most poisonous sea snakes. 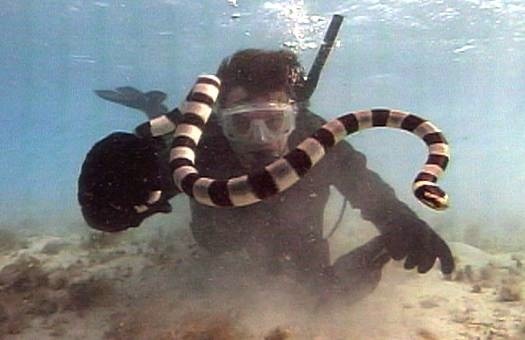 Sea snakes are one of the most dangerous creatures in the world. 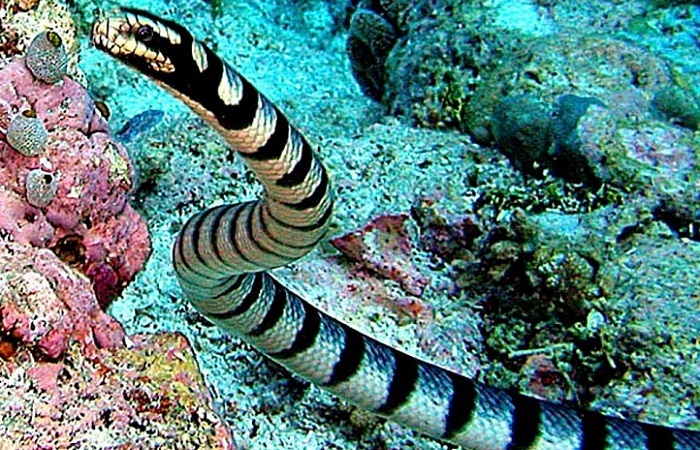 The venom sea snakes, is a neurotoxin, 50 times more potent than that of a Cobra. Sea snake venom force such that it is able to kill a person in five minutes. 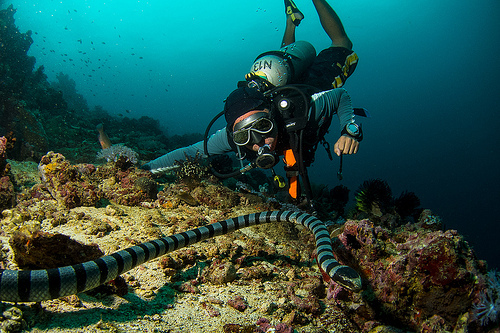 Sea snake venom paralyzes the nervous system, paralysis, breathing stops. Man dies from respiratory failure. then people have little chance to survive. Usually produces minimal snake venom when attacking portions 1-20 milligrams, but these milligrams enough, that would kill a human. Sea snake venom is much toxic poison than land snakes. Sea snake venom is stronger than any other snake venom. Meeting with sea snake is very dangerous. Sea snakes are attacking girls diver. 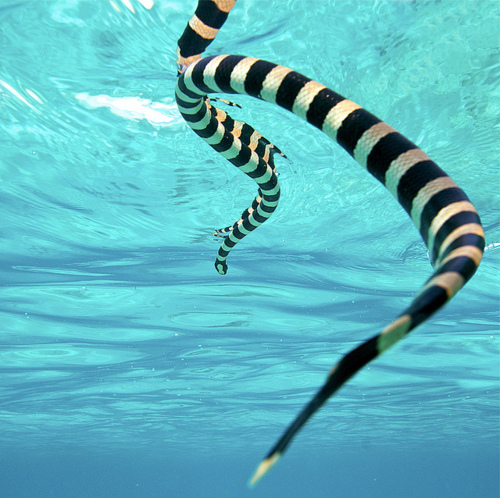 Length of sea snakes from 1 meter to 2.75 meters. Marine reptiles can not be confused with anyone else, it is a characteristic variegation, often striped. 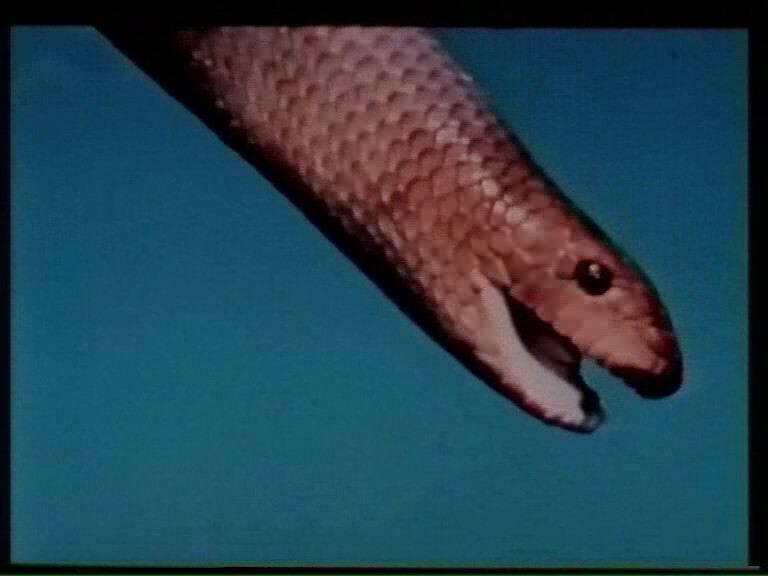 Small flat head of the snake and adapted for swimming tail of the snake. some snakes are able to descend to 150 meters. meet on the east coast of Africa, off the coast of south-east Asia and the western and northern coasts of Australia. 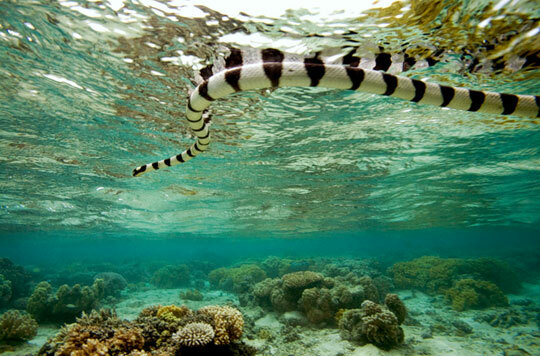 Sea snakes are found in almost all the seas of the Pacific and Indian Ocean. 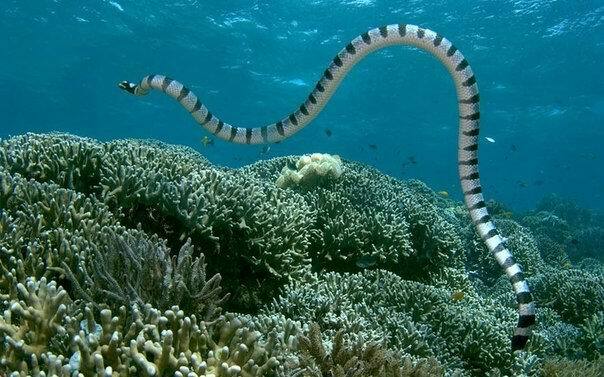 Usually sea snakes inhabit the coastal waters of the ocean, 5-6 kilometers from the shore, far from the ocean do not go. Do not touch the sea snakes is dangerous to life. The girl in the photo and the sea serpent cast ashore. How you people have captured all these images. This is so brilliant and I must say that your team is really strong and brave who have done this exercise for their users and followers. Great writers the best dissertation help work guys.